Marissa Matyer's first quarter at Yahoo was a decent one for the troubled Web giant. Yahoo CEO Marissa Mayer has now been on the job for exactly three months -- and while the company is still struggling, its third-quarter results were better than expected. In the report, Mayer deemed the quarter "solid," calling attention to Yahoo's "stabilization in search and display revenue." Yahoo's (YHOO) third-quarter earnings rose 66% over the year to 35 cents a share, handily beating estimates from analysts polled by Thomson Reuters. Excluding a percentage of sales that Yahoo shares with partners, revenue came in at $1.09 billion, just above forecasts. Search revenue rose 11% over the year to $414 million, while display revenue was flat at $452 million -- still a comparative success considering recent sharp declines in that sector. Shares were up more than 4% in after-hours trading. On a post-earnings conference call, an analyst asked Mayer to choose between search and display. She replied that she's "bullish on both," but that the display opportunity is "particularly compelling." Mayer also said a few times that revenue from Yahoo's search partnership with Microsoft's (MSFT) Bing was "disappointing" this quarter, but she didn't indicate any plans to make a change on that front. Mayer spoke at length about the mobile space, saying Yahoo "hasn't capitalized on the mobile opportunity." 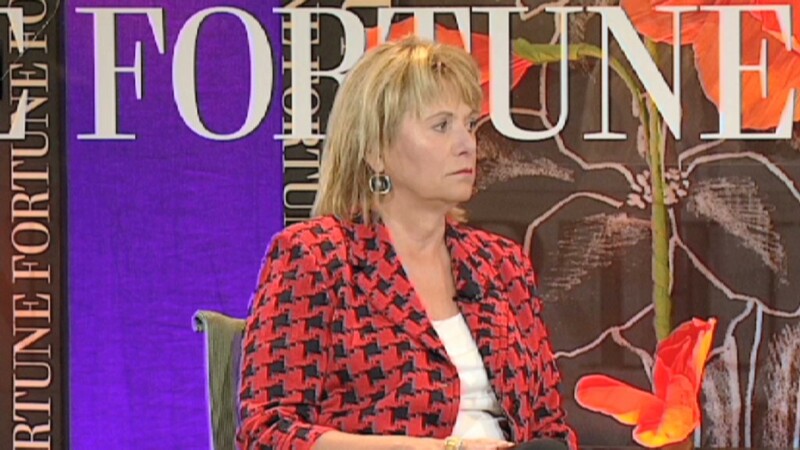 She added that the company's "top priority is a focused, coherent mobile strategy." Both professionally and personally, it's been an extremely busy quarter for Mayer. 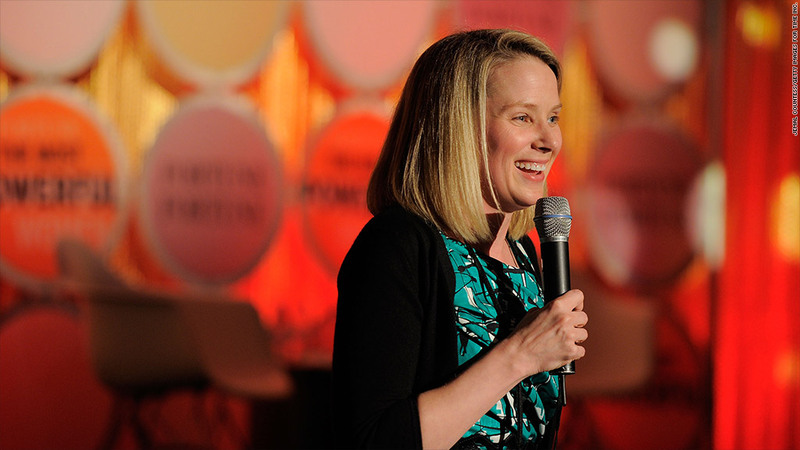 She took the CEO spot at Yahoo in July, one day before the company reported its middling second-quarter results. (She didn't speak on the conference call). She quickly dove into full review of Yahoo's business strategy, the results of which she began laying out in an all-staff meeting in September. Reports from the private staff meeting said Mayer wants Yahoo to focus on personalizing the Web for its users. She's also trying to shake up the company's culture, urging Yahoos to move more quickly and interact with the Web the way the company's users do. To that end, she eliminated company-issued BlackBerrys in favor of new Apple, Google and Microsoft phones. Mayer gave birth to a baby boy on September 30 and returned to work this month after a two-week maternity leave. Meanwhile, several top Yahoos in sectors including HR and sales have left during Mayer's tenure. Most notably, Yahoo announced in late September that chief financial officer Tim Morse is out. He will be replaced by Fortinet executive Ken Goldman, who started in his new role on Monday. Mayer also set to work tying up some loose ends left behind by her predecessor, Scott Thompson, who was ousted in May over a resume embellishing scandal. In September, Yahoo said it will return $3 billion to shareholders after selling back part of its stake in Chinese company Alibaba for $7.1 billion. That deal officially closed one week after Thompson left the company. Mayer's new challenge is to put that cash to work as she tries to move Yahoo -- an Internet pioneer that fell behind newer upstarts like Google (GOOG) and Facebook (FB) -- back to the front lines of Internet innovators. Correction: An earlier version of this story incorrectly stated that Yahoo's earnings fell, not rose, 66% from a year ago. That sentence has been revised.